Victory Range Hoods is a professional kitchen appliance enterprise founded in 2007 in Vancouver, BC, Canada. Today, located in Port Coquitlam, BC, Canada with a warehouse space of over 25,000 sqf www.KitchenHoods.ca has more than 5000 units in stock in our warehouses. 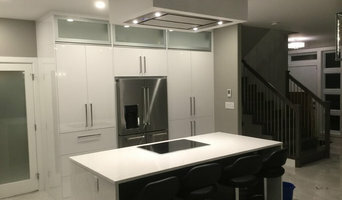 We are one of the largest online stores for range hoods in Canada! Our products ship across North America every day. Victory is our brand name, and it is registered in Canada and USA. We specialize in kitchen range hoods, sinks and back-splash panels and deliver the best variety of products for your needs and taste. 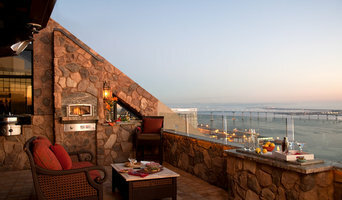 Victory Range Hoods is very well known in North America. For more than 10 years, we have made thousands of customers happy! Victory Range Hoods is a reputable company with a proven track record. We strive to bring you the best in value as well as quality and selection. Thank you for your support and for investing in assembled-in-Canada products to boost the Canadian economy! Family owned and operated since 1974, Trail Appliances is one of the leading independent appliance retailers in Western Canada with 15 stores in British Columbia, Alberta, and Saskatchewan (see our website for all locations & addresses). Trail Appliances provides a huge selection of over 50 leading appliance brands - the best from North America, the best from Europe, the best from Asia. In each Trail Appliances showroom, we've created stunning display kitchens to showcase how our beautiful appliances will fit into your home and lifestyle. Many of these appliances are "live" so you can see, hear and feel how today's appliances will work, perform and sound. From the bold look of professional stainless steel to the sleek style of European design – traditional to contemporary – Trail Appliances inspires you to create your dream kitchen. Award winning premium appliance retailer that has been serving the Greater Vancouver market since 1969. 47+ brands. Live demo kitchens. Professionally trained Sales Associates. An experienced and professional salesman, I have 10+ years of experience in serving both homeowners/retail customers and professionals/wholesale buyers. My background experience is large and varied which allows me a unique perspective on the appliance industry. Whether you're a home owner replacing a dishwasher to an multi-million estate builder I have the appliance (or appliances) that you need... or didn't know you needed. I am available for product information, site inspections, trade consultations and whatever else you need to move your project forward. Distributor of specialty appliances including Blomberg, EuroTrim, Faber, Fagor, Falmec, Fhiaba, Fulgor Milano, Aga, Heartland, Marvel, SMEG, Triton. Welcome to the kitchen of the future! Having an Urban Cultivator means you can harvest seconds before you plate, giving you access to fresh, organic micro-greens and herbs year-round. The Urban Cultivator Residential unit is a fully automated appliance that is specifically designed for growing herbs and microgreens right in your own home 365 days a year. With the exact same dimensions and plumbing connection as a dishwasher, the unit can be integrated into any new or remodeled kitchen with ease. The Urban Cultivator Residential unit is equipped with full watering systems which utilizes a “flood and drain” watering technology, along with automated lighting systems and fan systems for air circulation and cooling. Eating fresh, healthy, and nutritious food has become more important than ever and this has never been easier to do thanks to the Urban Cultivator Residential unit! Our mission is simple: we want to provide for each and every family access to healthy and organic herbs, vegetables, and microgreens while reducing our carbon footprint. We want to create a wholly sustainable culture where delicious, fresh food is the focal point. 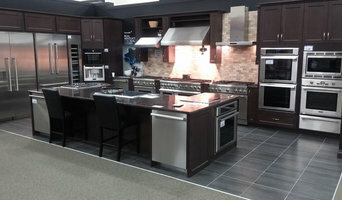 Wholesale appliance distributor in Western Canada and the Pacific Northwest. We have live training studios in Tukwila, WA and Richmond, BC. We have a passion for food and love sharing what we believe are the best appliance solutions for the home chef. We are a locally owned and operated business providing service to most of Whatcom County, WA with a complete range of appliance maintenance and repair services. We provide service for a wide variety of appliance brands; gas or electric. We are dedicated to ensuring all of your appliances are running at their very best. When your appliances are running smoothly and efficiently, you are saving money! Our team is highly experienced and qualified to provide maintenance and repair for any household appliance. We stock most common parts in our trucks, but if we need additional parts there is no second service charge for the return visit. Whether it is your refrigerator, stove, dryer, washer or dishwasher, we can fix it! Click on the link to view a full list of the appliances and brands we service. As the idea of using a Limo Service Richmond is to appreciate royal comforts and also services, the top notch limousine service providers offer reliable and top quality services, so as not to dissatisfy the aspirations of the clients. Only the experienced chauffeurs that are experienceded in the course taken are employed by the business, to prevent any type of trouble to the customers. Established in 1896, Y. Franks has been serving B.C. families and builders for more than 5 generations. Quite an accomplishment – and quite a responsibility! Y. Franks is the premium-brand appliance dealer in the Lower Mainland and is recognized by many appliance manufacturers as the leading barometer for customer trends in our industry. Our non-commissioned sales staff sets the standard for excellence and customer service, and can assist with the selection of appropriate products to complement both lifestyle and aesthetics. Drop in anytime to see the state-of-the-art in luxury appliance performance and fashion. Since 1989 Williams Direct Dryers has designed, manufactured and sold specialty dryers. Our direct drying allows us to dry apparel that can’t be placed in a tumble style dryer. Minimalistic design elements help dry and sanitize ski boots & gloves, sports apparel, fire service turnouts, food processing wear, and more. We supply dryers to homes, businesses, and governments across the globe. As anyone who’s ever tried to fix a broken garbage disposal or install a new microwave oven can tell you, sometimes hiring an appliance professional is worth every bit of the cost. Appliance problems can be time consuming for many Port Coquitlam homeowners to diagnose and repair, and a botched attempt can lead to bigger hassles and more money out of pocket. And with some appliances, such as ranges, grills and other pieces powered by gas, hiring a pro is a smart safety precaution. Read on for more tips before hiring a pro to help revamp your Port Coquitlam, BC home. Your British Columbia appliance professional might handle any or all of the following jobs: selling, installing, repairing and upgrading both small and large appliances. He or she can advise you on the right equipment for your Port Coquitlam, BC home, from features to finishes, and is usually in the know about the latest technological advances and bells and whistles. When appliances hit a snag or start to show their age, a pro can advise you whether to repair or replace them, then carry out his or her recommendation. 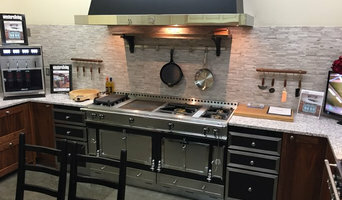 Some appliance professionals work closely with Port Coquitlam, BC builders, remodeling contractors, and kitchen and bath designers, among others. Here are some related professionals and vendors to complement the work of appliances: Kitchen & Bath Fixtures, Kitchen & Bath Designers, Kitchen & Bath Remodelers, Specialty Contractors, General Contractors. Find an appliance professional on Houzz. 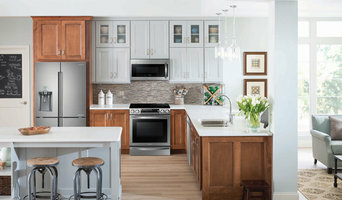 Narrow your search in the Professionals section of the website to Port Coquitlam, BC appliances. You can also look through Port Coquitlam, BC photos to find examples of rooms with appliances you like, then contact the professional who worked on them.